Objective: Our brief was to raise the profile of the Chair of one of the world’s largest law firms. With the ‘Always On’ philosophy introduced by Jami Wintz McKeon, Morgan Lewis prides itself on its responsiveness to clients, and continued excellence serving them through the changing demands of the legal industry. The daughter of a Broadway dancer, since her appointment as Chair in 2014, Jami Wintz McKeon has transformed Morgan Lewis into the largest firm by lawyer number in the US, overseeing the largest lateral hire in US legal history and dramatically expanding the firm’s presence in Asia. Strategy: Taking the firm’s key messages outlining its strategy and ethos, we arranged a series of meetings with the UK legal and national press. 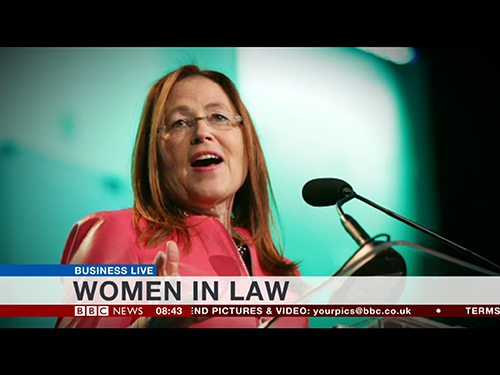 Results: We obtained a live broadcast interview on BBC World News’ Business Live programme and were commissioned by The Times to write an article on US law firms in London as well as interviews with the Financial Times and Legal Business. In November 2015, Jami was presented in New York with the Financial Times Innovative Lawyers Special Achievement Award, only the second ever recipient.